This Blessing Prayer was written a couple of years ago when I visited a Cheyenne Medicine Wheel at the Arboretum in Overland Park, Kansas. 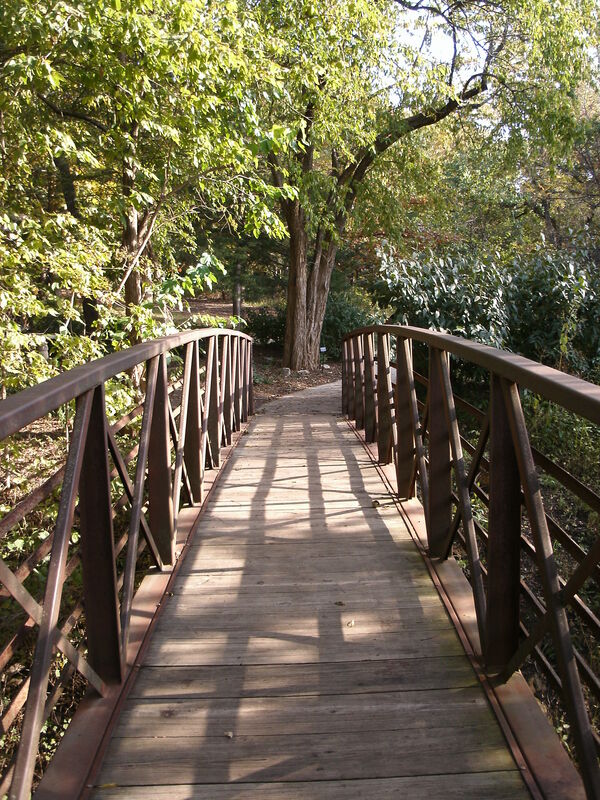 This beautiful 300-acre park is filled with tree-lined walking trails, benches in the shade, waterfalls and trickling streams, and amazing flowers gardens. 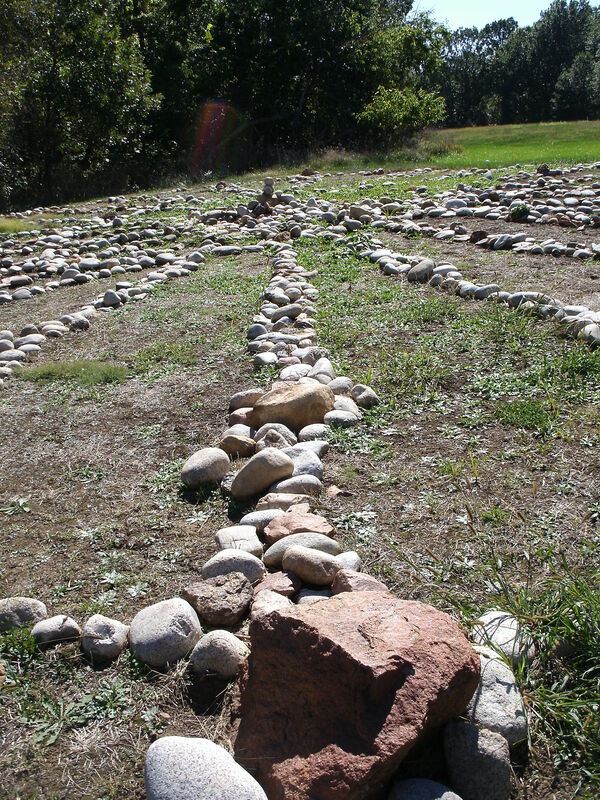 Added to this sanctuary land is a sacred Cheyenne Medicine Wheel laid out with many different types of stones. It was created by a Cheyenne Indian Chief and dedicated to the care of the nature spirits and Mother Earth. One sunny day, I enjoyed an outing to the Arboretum and spent time re-balancing with nature. 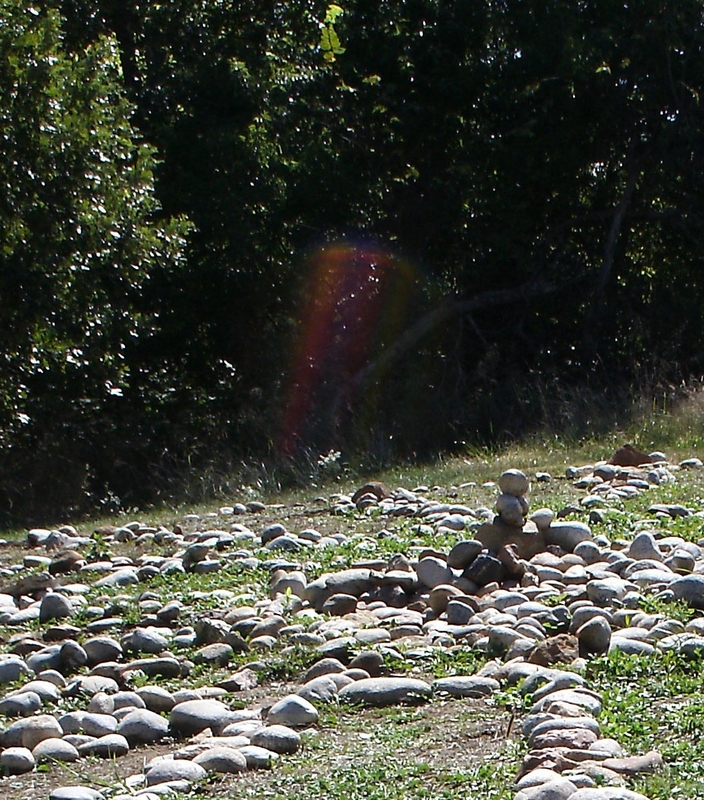 I completed the ‘spirit walk’ inside the medicine wheel and deposited a stone to the center, as suggested on the park plaque. As I was departing, I turned back to the wheel and said, “I love you,” to the Spirit Guides holding space there. I held my digital camera up and took a quick photograph. I did not look at it, as I was standing in the sun and could not see the picture on the screen. Back home, I uploaded all my Arboretum photos to my computer, and as I brought up the medicine wheel – my eyes widened and my heart soared – here was a full Rainbow Spirit Chief showing himself to me, and sending back the blessing. I love to share this photograph: below are two views of one picture. The first is the original from where I stood and sent my love to the circle. The second is a cropped close-up of the original, so we can all see the Rainbow Spirit Chief more fully illuminated. Thank you, Great Father, Watcher, Keeper, Friend, Brother. I send you many Blessings to the Heart Center. May Guardians of the LIGHT care for your sacred circle and cleanse all who step onto her path. Thank you, Great Mother, Nurturer, Giver, Friend, Sister. I send you many Blessings to the Womb Center. May Angelic LIGHT Beings bring in compassion and solidity for all who choose to know you. Thank you Father, Thank you Mother. May your Rainbow Kingdom reign supreme. In greatest love, your beloved Daughter, Healer and Light Holder.